Here you can read about Sever do Vouga and get to know us better. Sever do Vouga is a town and a municipality in the district of Aveiro, in the centre of Portugal. 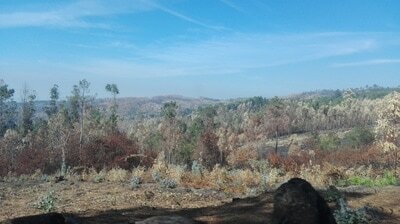 ​ The burnt area in Portugal last year was three times superior to the average burnt area in the country in the last decade. 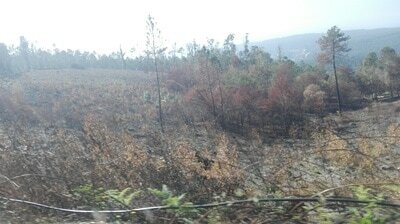 According to the “Instituto de Conservação da Natureza e das Florestas,” 103,137 hectares were burnt in the country until the 15th of August. The district of Aveiro was the most affected with 41, 569 hectares burnt, about 40% of the total area burnt in the country. The “Estabilização de Emergência: Incêndio Florestal de Sever do Vouga” report shows us that in Sever do Vouga 566, 20 hectares were burnt this year. Since the 1st of January to the 12th of July 2016, 101 thousand hectares of forest were burnt, which equals 101 thousand football fields. This amount of burnt forest in Portugal shows us that Portugal, alone, is responsible for half of the burnt area in all of the EU state members this year. Wildfires bring several consequences besides the loss of Earth´s lungs and the emissions of CO2 into the atmosphere. There are economic consequences like human patrimony loss,such as houses, farm fields or even cattle. 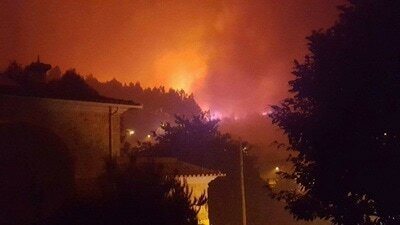 These inflict fear and trauma to the people who are around the wildfire, and sometimes the loss of memories in case of a burnt home. 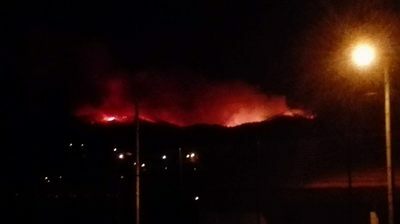 Below there are pictures of the wildfire taken by one of the members of our group. It was not very far from his house. 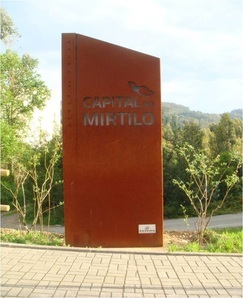 Sever do Vouga has been promoted as the capital of the blueberry. The quality of the blueberries grown in Sever do Vouga is internationally recognised.